You may have been seeing this product around the gram lately, because I sure have and I was automatically intrigued by the cute bottle and pretty packaging. When I was contacted with the opportunity to try and test their product, I was even more excited – so of course I said yes! Of course I read up on the product and their benefits so I knew what I should expect. I quickly had a scroll through their website here and also checked out their Instagram where they had amazing “before and after” photos of the results people have saw from using the serum! The serums formula contains Vitamin C, hyaluronic acid (have a go at pronouncing that – I can’t. ), collagen and rose oil. This combination of ingredients works together to provide numerous skin care uses. On their website, they suggest the different ways in which the serum can benefit you! “Beauty – use it twice a day, morning and night, after washing your face. Can be used beneath moisturiser, or any follow up step of your skin-care routine. Make up – Use it as a primer under your foundation, or apply it as a serum on your brush to blend your makeup. 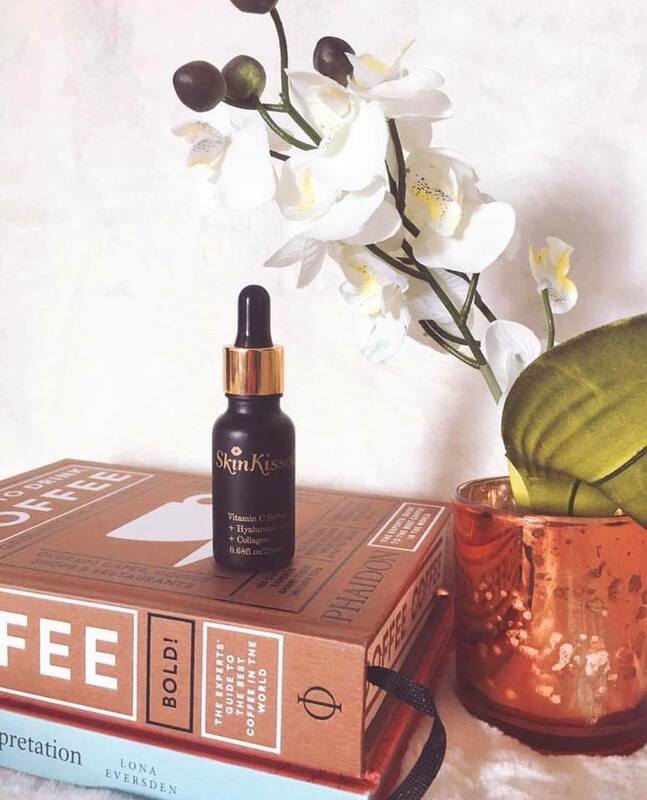 I found that I used the serum mainly during my night routine, as in the morning I’m usually rushing around before work and don’t quite have the time to give my skin the TLC it needs before heading out the door. However, I found that using it at night helped it settle into my skin overnight and left me with a glow and super soft skin in the morning. In terms of clearing up any acne, I fortunately didn’t have any spots at the time (thanks to the sunny weather at the moment for clearing them up) so I couldn’t compare a difference. Although – I felt that it definitely smoothed my skin and the acne scars in which I have around my forehead and temples. I LOVED this product as a primer – so if you want your makeup to stay on during the warmer weather then this definitely worked for me! I actually didn’t intentionally use it as a primer, but one day I put it on before my makeup and realised later on in the evening that my makeup wasn’t patchy at all and had stayed on really well and this was the only difference in my skin care routine that day. It had a lovely dewy glow to it also which I definitely love during the Summer. 100%. If you’re looking for a product in which has multiple uses, then this is definitely one of them. You can order them on their website at £29.95, which at first seems quite pricey for such a small bottle – but a little goes a long way! You only need a couple of drops on the target areas and you’re sorted! I’ve been using this product for around a month now and I still feel like I’ve hardly used any up! 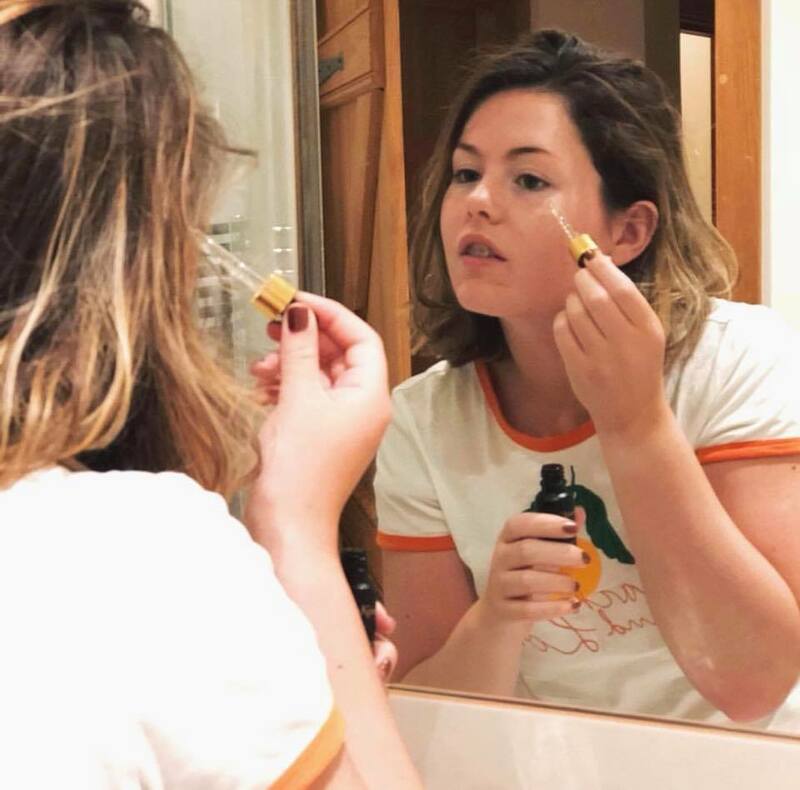 SkinKissed also ensure that there is no animal testing throughout the production of their product and they are 100% cruelty free, which makes me 100% happy and comfortable with using it! You can use my discount code _COFFEEWITHK15 to receive 15% off your purchase! There are plenty of other reviews and experiences on their website and Instagram, so I definitely recommend checking them out as there are some amazing result pictures! 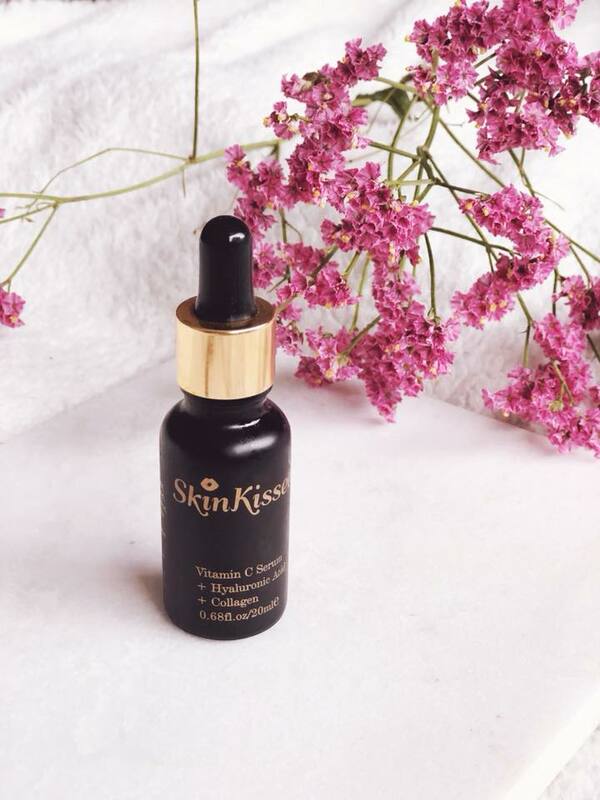 Thank you so much to SkinKissed for letting me try out their serum – I love discovering new skin care products and this is another one that won’t be leaving my routine any time soon! Previous Post Big Beauty Brands at What Price?! Next Post Goodbye Breakouts, Hello Dermalogica!